An authentic and easy cherry clafoutis is made with sour cherries but being a regional, country style sweet treat, this versatile dessert can also be made with pears, plums and to prove a point – even peaches and blueberries! 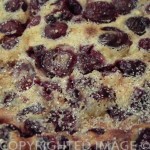 Clafoutis, which is a batter based cake-like dessert, is one of the most famous desserts of southwestern France. In a hurry to discover yummy regional recipes? 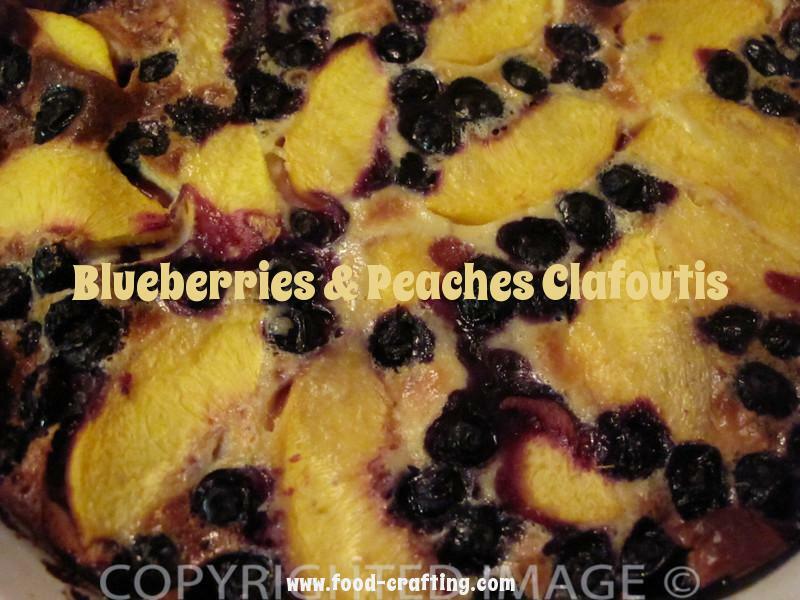 ===> Discover an entire collection of cookbooks for assorted clafoutis recipes . Believed to have its origins the Limousin where there is an abundance of cherry trees (cerisiers), the Cherry Clafoutis recipe is a simple, quick to make dessert. However, depending on the region of the country and the fruit currently “in season”, many variations exist – all equally scrumptious in flavor with only slights tweaks of the basic cherry clafoutis recipe. Looking for more easy desserts? Learn French food related vocabulary and discover other regional French recipes! My grandmother made it with tart cherries but also with Anjou pears, Reinette apples and Mirabelle plums found in our own orchard. She even found a way to use our gargantuan raspberries. Just to prove you can adapt any recipe, we recently made Clafoutis with peaches and blueberries – a perfect combination of flavors. 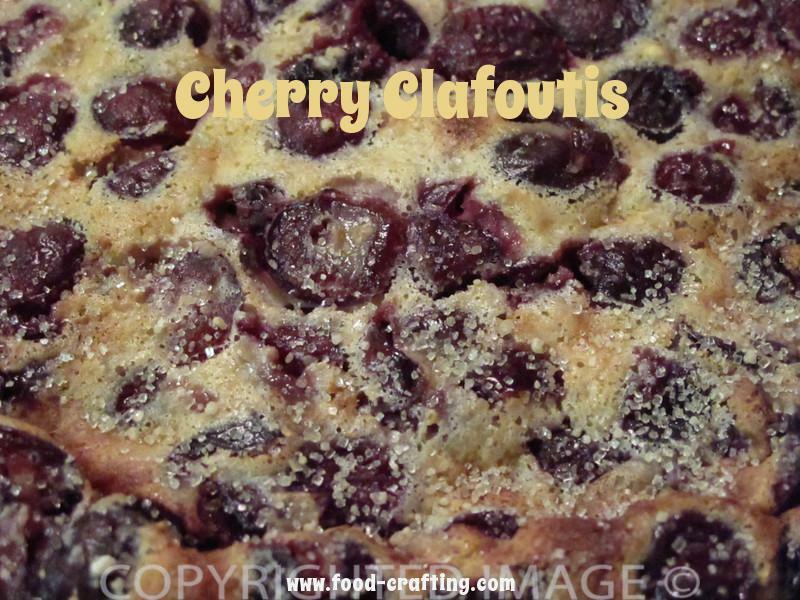 The original clafoutis were made with wild black cherries found from the Limousin woods and hedgerows, but you are not likely to find wild cherries in the produce department of your local grocery store. Nowadays, French cooks use the cultivated black cherry (or griotte) as they are easier to find. The slightly sharp flavor is better suited to this dish than a sweet red cherry. For excellent results, we use well drained, Oregon pitted red tart cherries in water. Once drained, we “marinated” the cherries for several hours in Kirsch. The light batter for this traditional cherry dessert is a sweet, rich mixture. The finished product should be juicy and full of fruit. Do not expect a thick, cake-like batter. This batter is more like crêpe batter. Cherry Clafoutis, which is a batter based cake-like dessert, is one of the most famous desserts of southwestern France. Butter a shallow dish (we used a Corning Ware “French White” stoneware 9 inch pie plate). Their quiche pan works equally well as long as you pour the batter carefully. Please note that the dish may not hold the entire amount of batter. Heat the dish in a warm oven (375* F) while you prepare the cherries. If you are using fresh cherries, make sure you pick out all the stems, wash them and then dry gently with paper towels. Pit them, place in a small bowl and then pour the kirsch over the cherries making sure to cover evenly. You will need to drain them again before assembling the clafoutis. Save a few tablespoons of the liquid to add to the batter. Canned cherries will need to be drained well and then dried with paper towels. 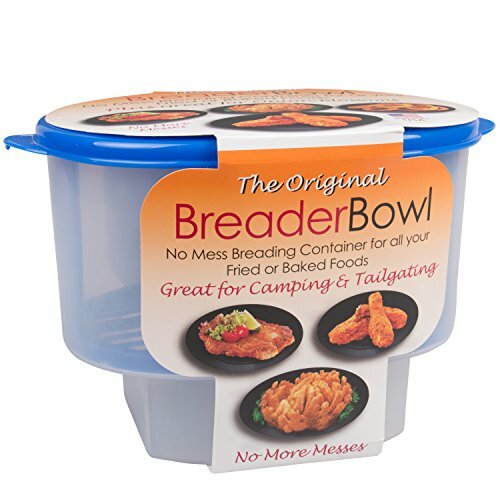 Set aside while you prepare the batter. Beat the eggs and add the dry ingredients (and a couple tablespoons of the kirsch marinade if you decide to kick it up a notch). Mix well to obtain a smooth batter. Prepare the batter for the Cherry Clafoutis recipe in a food processor or use an immersion blender if you are in a hurry. Remove the dish from the oven, and cover the base of the pie plate or pan with the cherries. Pour the batter evenly over the fruit and quickly put the dish back into the oven. Bake the clafoutis for 35-40 minutes until the batter has risen and the batter is firm (but not hard) to the touch and golden brown. Another version: Combine the cherries with the lemon juice. Place them in a buttered 8 x 8 x 2 baking dish. Mix the sugar, salt, and flour then sprinkle evenly over the cherries. Dot with butter and set aside while you make the batter. Sift together the first three batter ingredients. Add to flour mixture alternately with the milk. Beat the batter for 1 to two minutes. Spread over the cherries. Bake in a preheated oven (350*) for 50 minutes or until a toothpick comes out clean. Sprinkle vanilla sugar over the top. Cool for 10-15 minutes before serving with crème fraiche. The pudding should be soft, and as such, it will be a bit difficult to serve in nice neat portions, but clafouti is a rustic dish eaten for its flavour rather than its appearance. Do not be tempted to add more flour to make it hold together better as this will make the clafoutis too stodgy. It should be quite light and melt in the mouth. 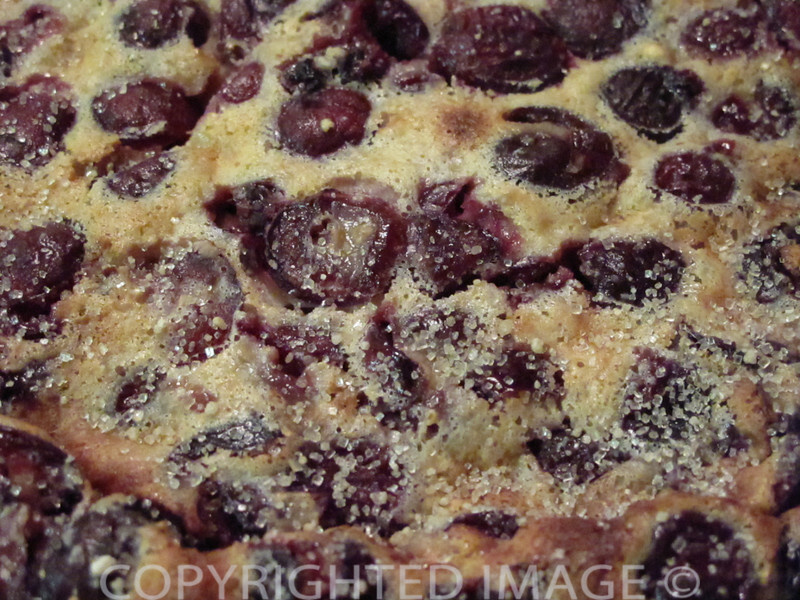 Who says you cannot make Clafoutis with other fruits than the traditional cherries? To prove the point, we baked one with cherries and a second one with peaches and blueberries. Pears are a particularly good fruit for this type of batter. Just halve small pears (or make thick slices), poach in light syrup if they are a bit hard and lay, cut side down, in the flan dish before pouring over the batter. Replace the kirsch with a jigger of Marie Brizard pear liqueur for an extra bit of ‘je ne sais quoi’. In this case, the finished dessert will not be the traditional French clafoutis but it will be delicious all the same. Don’t be afraid to experiment with the basic recipe as long as you keep the same “liquid” amounts. Use veggies! Ever tasted a zucchini and parmesan clafoutis? Enjoy. 3 Another Yummy French Dessert! Berries and peaches…that one looks soooo good!